If you’re ready to discover who you are and what is possible for your life, this program guides you every step of the way. Thinking Into Results is one-of-a-kind system based on 50 years of intensive research into the science and mechanics of personal achievements: what really makes successful people successful. 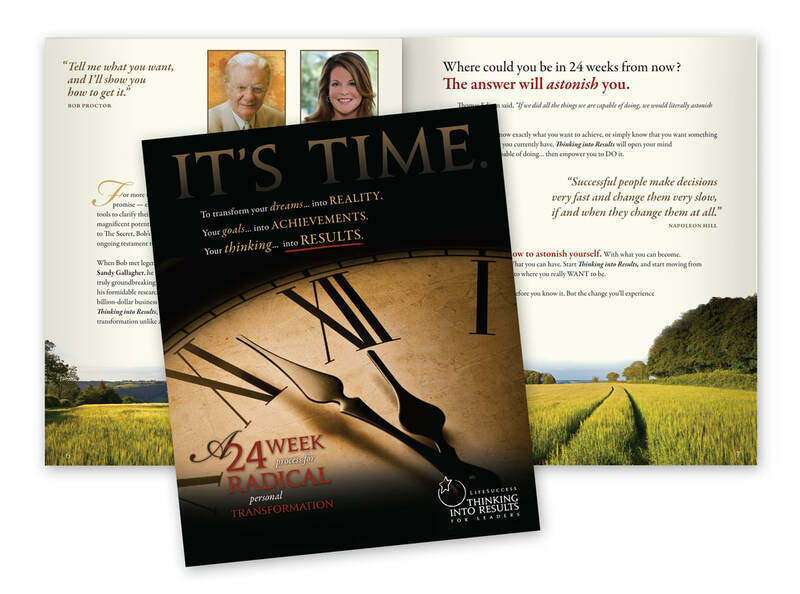 Developed by world-renowned success expert Bob Proctor and legendary corporate attorney Sandy Gallagher, it is the most powerful process EVER created for quickly and permanently transforming ANY goal, dream, or desire into reality. This is a personal development course with a difference that will make a difference. 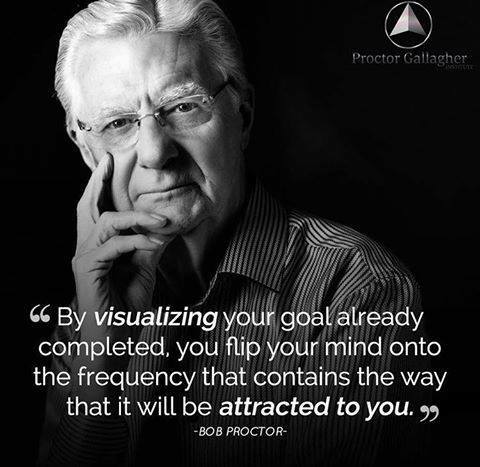 As a speaker, author, consultant, coach, and mentor, Bob Proctor works with business entities and individuals around the world, instilling within them not only the mental foundations of success and the motivation to achieve, but also the actionable strategies that will empower them to grow, improve, and thrive in today’s ever-changing world. He teaches the principles, strategies and fundamentals that help people and organizations create the results they want in life… results that STICK. ​What do I want to do with my life?” Not long ago, anyone looking at Sandy Gallagher would have thought she had that question definitively answered. As an esteemed attorney with a successful career in banking law, Sandy regularly handled billions of dollars in mergers and acquisitions, IPOs, and other big-ticket transactions, and was an advisor to boards and top executives of Fortune 500 firms. She epitomized success in the classic corporate mold. It was an encounter with Bob Proctor that set Sandy on an extraordinary new path — one that would ultimately change not only her life, but countless others. Through Bob’s teachings, Sandy finally understood the “why” behind her lifelong success. Without realizing it, she had spent her life practicing the very principles Bob espoused, and exemplifying their power. She knew then that her next mission in life was to teach others how to do what she had done. And she became determined to join forces with Bob in order to fulfill that mission. After their first collaboration, Thinking Into Results — Sandy’s brainchild, which is widely acknowledged as the most powerful corporate transformational program of its kind — she quickly became CEO and President of Bob’s organization. Today, as the co-founder, CEO, and President of the Proctor Gallagher Institute, Sandy shares international speaking stages with Bob and works closely with him and their team of professionals to provide coaching, training, and consulting on the most profound, powerful, and transformative concepts and strategies humankind has ever known. As Thinking Into Results facilitators, Shawn and Suzanne are growth oriented and enthusiastically help individuals, groups and companies discover their deepest goals and desires and to reach their potential and achieve their personal and professional goals. They have been studying personal growth and development for over 30 years. They are entrepreneurs who have founded companies and training sales and marketing teams in three countries. They help clients create the life they want and fulfill their dreams. They believe in walking their talk. In 2001 they packed up their two children ages 8 and 11 into their Toyota 4 Runner and they moved from Canada to Mexico . After one year of discovering Puerto Vallarta on the west coast they packed it all up again and moved to the other side of the country to Playa del Carmen on the Caribbean coast. Now their kids have grown up and moved back to Canada to experience something new for themselves and Suzanne and her husband have moved across the country once again. This time to Valle de Guadalupe, Baja California, Mexico (The wine valley of Mexico) to find property and build Suzanne's dream of owning a B&B and retreat. Are you ready to consider making some changes in your life? "ABSOLUTELY AMAZING AND LIFE CHANGING is how we would describe our Thinking into Results program with Shawn and Suzanne Bandick. We went from hoping and wishing our dreams would come true to taking action steps towards making them a reality. Shawn and Suzanne have been so supportive and encouraging with their great knowledge and experience using this program to make their life happen. They helped us realize the importance of having a “C” goal in writing and then taking action daily towards achieving it. The course gave us life skills that we will be able to use for the rest of our life, to achieve anything we truly want and desire. How to deal with people and situations daily and to make everyday a great day. Every day we focus on leaving others with the impression of increase, helping to improve their day and ours. The course taught us that we must recognize and release old beliefs and patterns and create new empowering beliefs and patterns that align with our goals.